This is from the London Marathon in 2015. I don't recall having the energy to do this - I crashed badly after going out waaaay too fast - let alone actually doing it. But as they say, a picture is worth a thousand words, and it's a fantastic picture too. Update: I've just noticed something… I'm not at my leanest in this photo. 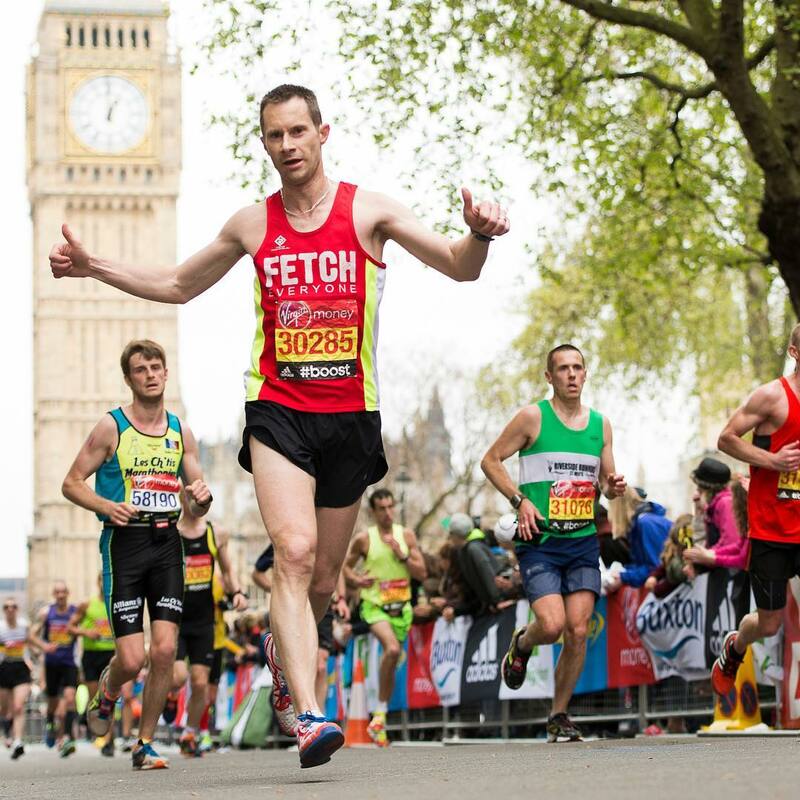 Despite blowing up spectacularly, the London Marathon 2015 was my fastest marathon to date. I'm a week away from the Berlin marathon and I'm looking considerably leaner and more vascular than I did last year. How much leaner? Well, this pic, in a similar pose was taken a month ago - 14 August 2016 - at the Burnham Beeches half marathon and you can clearly see the muscles and veins in my arms and legs are waaaay more pronounced, and I've definitely not put on any weight since then. I hope this translates into a significantly better performance.